Welcome to Revolution Vehicles Ltd – the friendly, professional MOT, servicing and repair centre in Bell Road, on the Daneshill East Industrial Estate in Basingstoke, Hampshire. 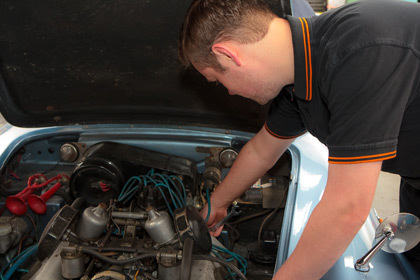 We employ experienced staff who are used to working on all vehicles from Fords to Ferraris, BMWs to Bristols. Our labour rate is low, but the skill level reassuringly high. 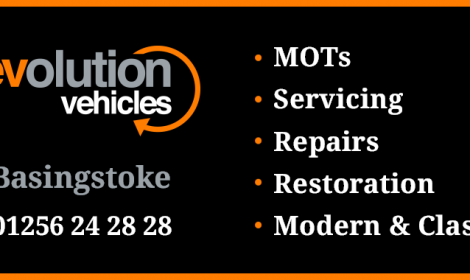 So, whether it’s just an MOT on your faithful Ford Ka, the active suspension on your Mercedes playing up, or full restoration of your beloved E-Type Jaguar, you can trust the experts at Revolution to help. Why not give us your next motoring challenge to resolve? I had a fault with the turbo charger on my Jeep Patriot that would force the car into limp-home mode on longer journeys. After receiving a £3,100 quote from Jeep and a £1,500 quote from a Turbo specialist a friend put me in touch with Revolution Vehicles. Instead of just replacing the turbo at large expense they took the time to disassemble the turbo and fix the part for less than £400! Needless to say I would recommend Revolution Vehicles to anyone. Is your vehicle fundamentally safe or unsafe for the road? 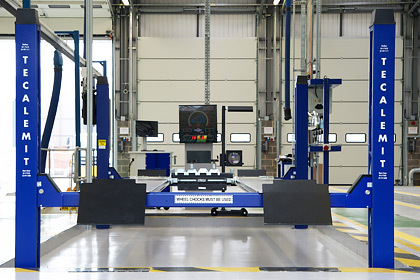 We are fortunate to own a brand new, state of the art Tecalemit Tecua C4/SP Automated Test Lane MOT package covering Class 4 vehicles (i.e. Private Cars, Light Commercials and Quad Bikes). 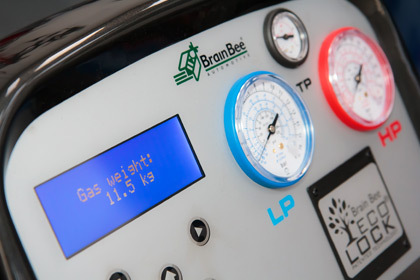 Tecalemit have been an industry leading manufacturer of garage equipment for many decades. This enables us to quickly drill-down through various non-invasive tests and answer that key question on behalf of the DVSA. 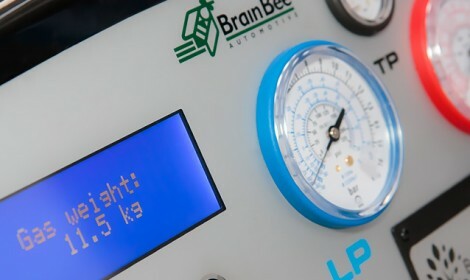 In addition to all the visual checks for body corrosion, tyre condition and lighting, the ATL swiftly and accurately tests for play in joints, bushes and bearings, brake and handbrake efficiency/balance (incl 4WD), tailpipe emissions, headlight aim, tow bar electrics and LPG gas leakage. It’s clean, quick and far less destructive than previous testing methods. Do we trust the people we hand our keys over to to do a really good, thorough job, within our budget? It’s a big question. The staff here are fully committed to the business, not just passing through, so you’re highly likely to find them here next time. So how much do you think we will value your custom? Big or small, new or old, modern or classic we'll be delighted to attend to your vehicle whatever it is. Over and above the 70+ years collective experience at your disposal, we have excellent modern diagnostic kit including deep-access interrogation equipment if needed. 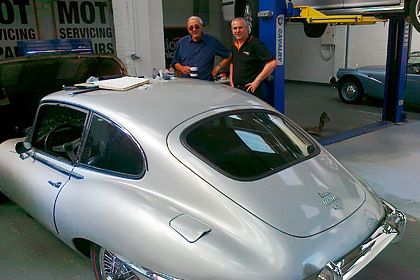 Perhaps most significantly, our very experienced Technicians have a real ‘nose’ for problem solving. Having done some decidedly ambitious operations on cars in the past it’s fair to say that we are not easily fazed by vehicles with problems. We’ve rectified some real, real puzzles in our time and love a challenge, as shown in the Case Studies below. Let us cure yours! 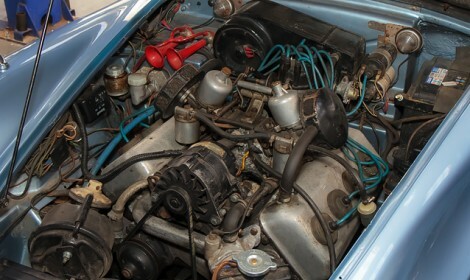 With a deep understanding of mechanical, electrical and electronic systems plus upholstery and paintwork capability, we are well placed to restore your classic or simply older car. Recent recipients of TLC include a ‘69 Jaguar E-Type, a ‘66 Mini Cooper S, a ‘62 Daimler Dart and a 5.7L Land Rover Defender 90. Our past achievements mean that proper expertise is only a phone call away, and if we can’t make or repair it here we know the right person who can. Customer service above and beyond, thank you very much indeed. Customer satisfaction is our number one priority, we stand or fall by our customers being happy and returning. We love a challenge and won't stop until we find a solution as these case studies prove. Revolution are a revelation. For a long time I’ve been looking for a garage I can really trust, whose proprietors are as fussy about my car as I am – I think I might just have found it.